Getting this message when I try to embed fonts in my presentation with "only the characters used" option selected: "Some of your fonts cannot be saved with the presentation. Adobe Gothic Std B Bold General Failure"
I'm not using Adobe Gothic. I'm using "Rockwell" for the headers and "Lucida Sans" for the body. I've checked the fonts on all of the slides, master slides, handout, and notes masters, but can't see Adobe Gothic being used anywhere. If I change the option to embed all characters the error goes away. How can I make this error go away when only saving the characters used. 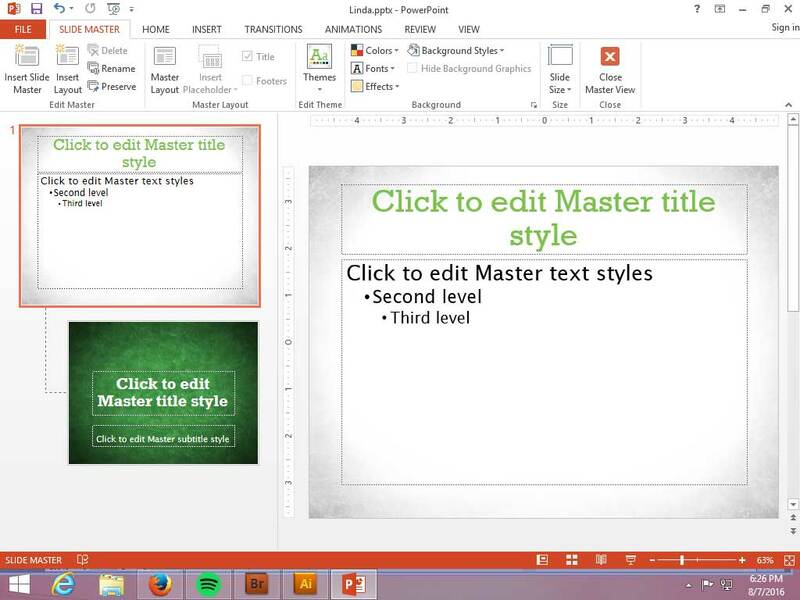 I'm using PowerPoint 2013 with Windows 8. As others have suggested in the comments, there might be some phantom traces of Adobe Gothic somewhere in the presentation. You may be able to remove them using the Font Replacement dialog: Go to Home on the ribbon, and in the Editing group click the little triangle next to Replace and select Replace Fonts.... You will then see a dialog box with all of the fonts that are currently being used in the presentation, and be given the option to substitute one font for another. Select Adobe Gothic in the upper selection box, and Rockwell (or anything else you'd like) in the lower one. After clicking Replace, PowerPoint will remove any instance of Adobe Gothic from the presentation and replace them with your selection. Once Adobe Gothic is removed from the presentation the error message should go away. My guess is that Adobe Gothic has a restrictive embedding permission, only allowing the embedding of the font in its entirety. This is why the error message came up when subset (characters used) embedding was turned on. This worked for me!! However, instead of 'Helvetica' I had Asian characters. I had more or less the same issue with a pptx template that I bought. When I wanted to save the pptx with embedded fonts, I got a warning that Helvetica Neue (Light, Medium) fonts can't be embedded because not installed on my computer. As most of you, I checked all slides, the notes and the masters but I didn’t find any instances of Helvetica fonts. I tried also ‘Replace Fonts’ and I got the same “double-byte” type warning. So what I’ve done is the following: save the pptx as a PowerPoint XML presentation (*.xml) close PowerPoint open the xml with a text editor like Notepad++ Search and Replace all “Helvetica Neue Medium”, “Helvetica Neue Light” and “Helvetica Neue” texts by a font name that I’m sure is installed on my computer – “Calibri” for instance. Save the xml (in Notepad++) Reopen the xml with PowerPoint Save it as pptx After that, issues are gone. Not the answer you're looking for? Browse other questions tagged fonts microsoft-powerpoint embedded error or ask your own question.